When it comes to designing an original character non-artistic Bronies often turn to tools such as the (in)famous Pony Creator. While those usually had tons of customizable attributes their output was somewhat unsatisfactory, giving each character an extremely generic pose that was easily recognizable and often the subject of mockery from those who actually took the time to draw their OCs. 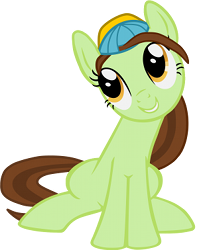 However a new pony designer tool has turned up, with the main purpose of creating web avatars, and unlike most it features animation and a somewhat less generic pose. 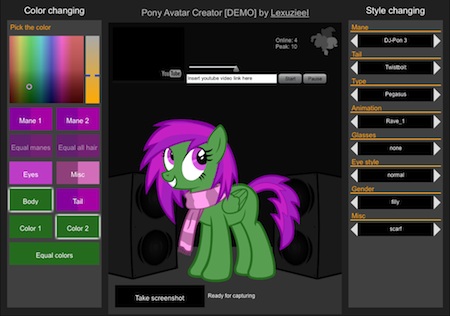 Does the Pony Avatar Creator manage to break the mould, or is it just another crappy pony creator? For our full opinion on the game, continue reading after the break. As you all know Portal was a revolutionary game, and one of the few that brought a truly unique mechanic to the table. Sadly however, it's not exactly quite as unique anymore, as indie developers have utilized the power of portals, resulting in interesting experiences such as Mari0, Portal: The Flash Version, and others. 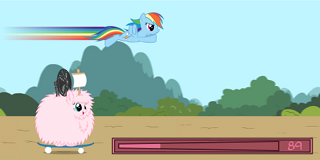 Is Pony Portal Advance on the same level? Nope, but it's still a somewhat worthwhile game, provided that you don't find it too difficult and can tolerate some of it's annoyances such as the lack of a remove portals button, which can make some puzzles nigh impossible without superhuman dexterity. Also, since it's a GameBoy Advance homebrew game you'll need either an original console or an emulator (the preferable option for most of us). When I wake up every morning I look out my window and say, "Alas, the farming simulator is truly dead". Then, I scurry away with catlike tread (in order to avoid waking my brother), trip over a couple dinky cars and crash to the floor with a yell, waking up the entire family every morning. For centuries I have longed that at least one of these steps might be made unnecessary to lighten my daily commute, and it seems that finally my prayers have been answered. For out of the depths of the night comes Cherry Sorter, riding a white horse and playing a trumpet with a $2 price tag, to save me from the first step of my horrendous plight. With it's exclusive Android cherry-picking ways and utterly astonishing depiction of life on a cherry ranch I have been freed from my plight, and now spend the entire morning playing this wonderful masterpiece of wondrousness . So now, I beg leave of you to play this game some more, as should you. If you own a newfangled Android phone, this game should work right out of the box, but it took me a couple hours to get it working on my trusty (and completely indestructible) Nokia phone. So long, and farewell! Well, looks like the Budding Friendships team is in need of some additional dev team members! Take a look at their note below the break and maybe submit an application to help, eh? My Little Pony: Roleplaying is Magic, Season Two Edition has launched! We've come a long way since the first season edition, and S2E will (we hope!) knock your socks off! With four playable races, a robust and open-ended character advancement system, a focus on canon while being 'fanon-friendly,' and special narratively-focused mechanics, we feel that S2E provides a truly unique and fun pen & paper roleplaying experience. Check out our website at www.mlprim.com for more information and to download the 164-page RPG rulebook in various formats (including mobile-friendly ones! ), and pay a visit to our forums to connect with the community! In addition, in the next few days, we'll be launching our first giveaway of one of three limited-edition 16x20 watercolor paintings, so stay tuned! 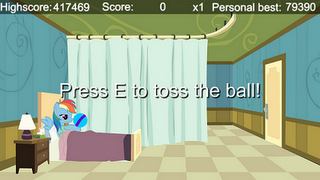 At Equestria Gaming we pride ourselves on being the #1 source for My Little Pony fangames (at least, we hope so!). But as you might have noticed, lately we've slowed down somewhat (not in speed, we're highly optimized when it comes to speed and SEO). Was the current generation of authors going the way of Strawberry Spice? Nope! We've just been preparing something really awesome that we hope you all enjoy. Anyhow, the arcade is located at http://arcade.equestriagaming.net/, and currently features 8 games (more are in the pipeline!). The features are not completely final yet either, we plan on adding a ratings system in the near future and maybe some extra eyecandy for those with modren browsers. Enjoy! Since apparently some of you have been constantly bugging Negation Squared about another video update for Friendship is Fragging, they gave in to your whining and were forced to release one for you. So go on, watch it! And don't blame me if it's really boring, because you were the ones who clamoured for it! Just kidding, it's not that bad of an update, although it's pretty evident that the team has been focusing most of it's attention on MLP: Rise of Vicis and not so much on Friendship is Fragging. I'm fine with the FiF being delayed as long as they're still working on RoV, which in my eyes is a far more interesting project. ...And now for a piece of somewhat related news. Negation Squared has announced that they plan on releasing a demo for MLP:RoV in June, which I am really looking forward to. Let's just hope it doesn't fall into development hell, eh? If Waiting is Magic was the game that banished boredom till the very end of time, then GO FAST is the game that will break your keyboard. Pretty much all you have to do in Go Fast is to mash the spacebar in a certain rhythm and gradually increase speed until the end of the game, although it's a lot harder then it sounds, and far more addicting to boot. I'm not sure how much time I've wasted this game, but I do know that after a couple tries my whole hand was hurting from mashing that spacebar, so I switched to my other hand. But then it started hurting too, so I switched back to my original hand, and vice versa until both hands became rather hard to move, which forced me to stop. Anyhow, I hope you all enjoy this addicting button-masher if you haven't played it yet before, and if you have then why not give it another go, eh? 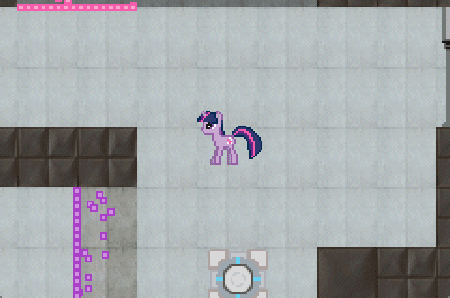 Pony On the Moon and Parasprite Invaders are two unfinished Java games. 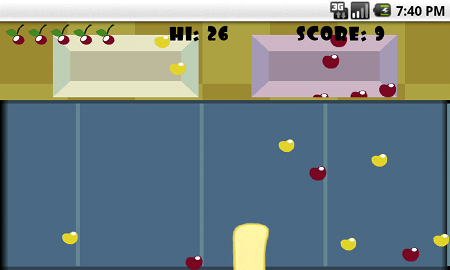 The first one is a gravity-based platformer starring Luna, who has been trapped on the moon yet again. In order to survive she must eat, and somepony has conveniently left some muffins drifting around. You'd think that she would also need an oxygen supply if she requires food, but then again this is just a fun platformer that could really use a dedicated artist. 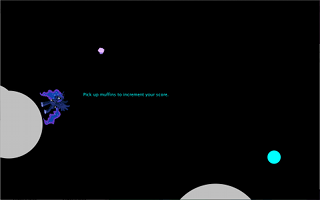 The second game is a simple asteroids clone, except instead of a spaceship you control Twilight's horn, and in place of asteroids you get parasprites. Again, it's in an early state and once again shows that programmers in general are terrible artists, but if you somehow managed to get bored of Waiting is Magic (which we reviewed earlier) then this might be a fun little time waster. 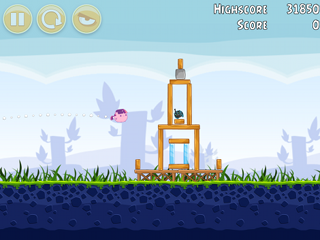 If you want to play these two games you can find Pony On the Moon at http://ponies-in-space.appspot.com/ while Parasprite Invaders is located at http://ponies-in-space.appspot.com/paraspriteinvaders.html. Have fun! A while back I was able to play an early version of a game called Pony Room, which was a fairly basic online chat-centered game made with Flash. I didn't post anything on it at the time, but now the author has put up a brief preview of the game and I no longer have any excuse to refrain from posting this. And yes, I know it looks rather plain and boring (and frankly the preview doesn't demonstrate that much), but the creator is wanting some help with this game of his(namely testers, animators and coders). In case you're interested you can email him at serger100@gmail.com to apply. For those of you unfamiliar with the concept of Lyra's List, you can read about it here. 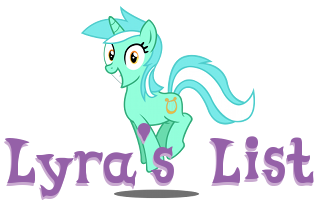 The submissions are in for Equestria Gaming's first ever Lyra's List, and you can find them all after the break. The deadline for entries for Lyra's List #2 is May 31, 2012, and submissions are now open.